The administrative area of Venice is fairly large, covering the lagoon, islands and mainland as well as the heart of the city. This means that a hotel can have 'Venezia' in its address without being in what we consider, for historical and tourist purposes, Venice. On this page, when we talk about Venice or central Venice, this is what we mean; easiest to think of as one large island, it's a cluster of tight-packed islands separated by canals. It's divided into six sestieri or districts. There is more on these below, but first we'll give our opinion on lodging outside Venice. Travellers choose to stay outside the centre of Venice for a number of reasons, some of which are more valid than others. It is true that you can save money by choosing the Lido or Mestre as your base (more about these locations below). But if you book well in advance you may find accommodation in the centre that is not much more expensive. You will need to decide whether any saving is worth it. 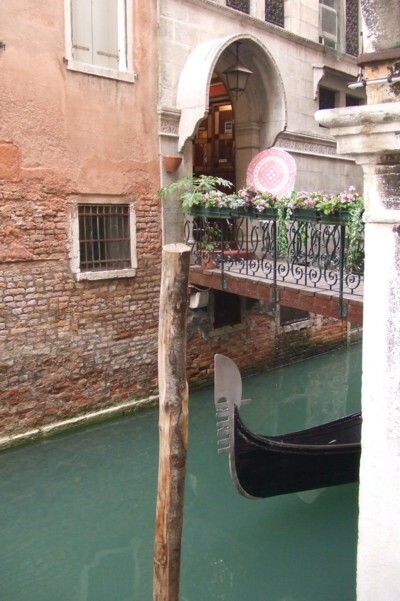 You may find yourself spending more time or money on travel, and feel cheated of a true Venetian experience. Avoiding tourist crowds is another reason given for avoiding central Venice, but actually there are parts of the island which are peaceful and down-to-earth. And the presence of traffic in Mestre and the Lido can lead to sleepless nights, while pedestrianised Venice is very peaceful at night. If you are booking a hotel outside the centre, be sure you have done some research and won't be disappointed. If it's not your first trip, you may appreciate the different scenery of the Lido. Families with children may choose to be near the beach, where there are shady trees, wide pavements and cheaper restaurants. There are a number of hotels on the main road near Marco Polo Airport. If you have a very short trip with an early start or late arrival these may be of interest. But Piazzale Roma in Venice - the bus terminus - is only twenty minutes away by public transport, so our advice would be to stay in the main city (giving you much more of an experience), while making sure you are close to Piazzale Roma. Waterbuses from Venice also run to the airport; they take longer but are convenient so you may wish to book a hotel near one of their stops. The special bus service for Treviso Airport also departs from Piazzale Roma. Mestre is the mainland part of Venice. If you have ever seen the modern suburbs which sprawl around Italian cities, you'll have an idea what to expect. Since Venice is on the water, its suburban sprawl and ugly developments are all on the mainland. Sometimes people have the idea it will be convenient to stay here. Really, though, there's no reason to stay in Mestre unless you are visiting friends or relatives, or if you have a hire car, need parking, and are merely passing through. Mestre is not all bad. It has a nice town square and one or two pleasant streets. It is connected to island Venice by train and by bus. But if you are here to see Venice then you should stay in Venice, or at least on the Lido. Read more about Mestre. The Lido is an island, the narrow strip of land between Venice in its lagoon and the Adriatic Sea. It was developed as a seaside resort in the early twentieth century. Its long beach is not the nicest in the world, but it satisfies thousands of sun-worshippers every summer. Most of the beach is lined with beach huts and establishments where you pay for sunbeds. Some hotels have their own section of beach, or arrangement with one. There is also some free beach where you can turn up with your towel and lie on the ground. The atmosphere on the Lido is very different to Venice: there are leafy avenues, roads, cars and pavements. You can hire bicycles. Out of season it feels 'normal', with reasonably-priced shops and restaurants, and locals taking their children for walks. In the summer the big hotels open for the season, streams of beach-goers cross from the lagoon, and there are ice-cream shops on every corner. There are frequent ferries crossing between the Lido and Venice, so you don't feel totally cut off from the town centre. The boat takes 20 minutes to St. Mark's. Lido hotels are generally cheaper than those in Venice, and are often used by tour companies. You need to weigh the savings and advantages against the charm of being in central Venice. We have stayed here and appreciated it, but it definitely isn't the same. More about the Lido. Central Venice is full of picturesque canals, narrow lanes, tourist thoroughfares and the occasional dodgy smell. These features are pretty consistent, so it's hard to make generalised recommendations about the different districts. The busiest tourist areas are around San Marco, Piazzale Roma and the railway station - although there are plenty of nice lanes, these areas are the most noisy and hectic. Of course, they're also the most convenient for sightseeing and travelling. For a short trip, staying either near these transport hubs or near St. Mark's will help you make the most of your time. If you're planning a leisurely or romantic trip, we'd recommend seeking out a slightly quieter location which might involve more walking or ferry trips. When selecting, there are some important factors to consider. Travel in Venice is by boat or on foot. If it's an extravagant holiday and your hotel has a water-entrance, you could splash out on a water taxi. Otherwise you will have to walk to and from the nearest vaporetto stop, transporting your luggage on arrival and departure. Wandering home at night can also be tiring - especially on the occasions you get lost - though it's also enchanting and safe. Before you book, check the location carefully and note how far the accommodation is from the nearest vaporetto stop, and how many canals - i.e. hump-backed bridges - you will need to cross. Read comments from past guests to glean an idea of the immediate surroundings and atmosphere. If you are pressed for time and want to see as many of the big tourist sights as possible, it's a good idea to concentrate your hotel search in the San Marco area. If it's important to be near the railway station or the bus stops at Piazzale Roma, look for a hotel in south-western Cannaregio, north Dorsoduro or the eastern corners of Santa Croce or San Polo. For bars and nightlife, such as it is, studenty Dorsoduro and the area around the Rialto are busiest. In northern Cannaregio and eastern Castello you'll find quieter residential areas for a more 'authentic' Venetian stay. More about the different districts of Venice.